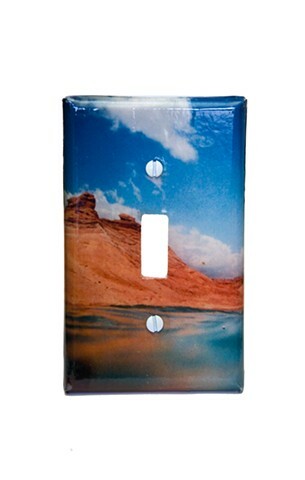 Switch out that old boring white plastic light switch cover for a piece of handmade functional art. This standard size single switch light plate covers measure 4.5 inches tall and 2.75 inches wide. It comes with 2 pre-mounted screws that makes installation easy.